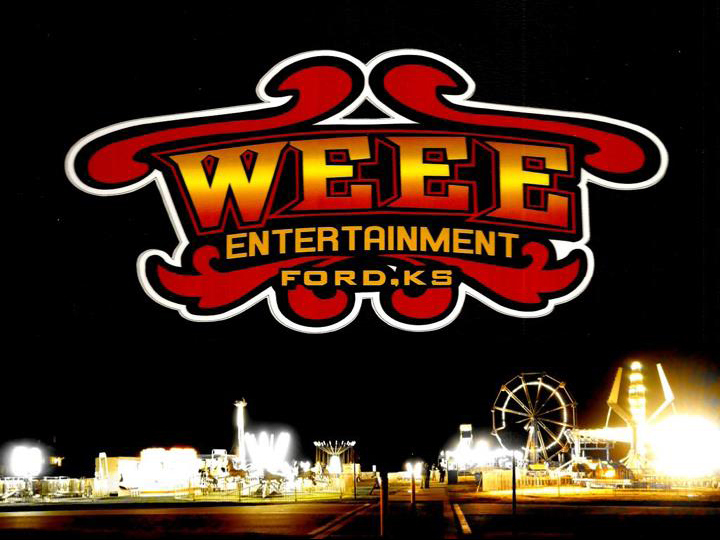 Weee Entertainment is based out of Ford, Kansas and has been in the entertainment business for many years. They pride themselves on having CLEAN and SAFE rides for all ages. A total of around thirteen rides will be coming to The Russell County Free Fair in 2016 including rides such as: The Ferris Wheel, Musical Swings, Tilt-A-Whirl, The Bullet, The Sizzler, Wild Thing Slide, Rock-O-Plane, Merry-Go-Round, Kiddie Cars, Kiddie Jets, Kiddie Train, Tubs of Fun, and Moon Walk! They also have a great collection of games like Skeeball, Roll-A-Ball Derby and Dozers. The carnival will be running Tuesday July 24th – Friday July 27th 7:00 PM to 11:00 PM.